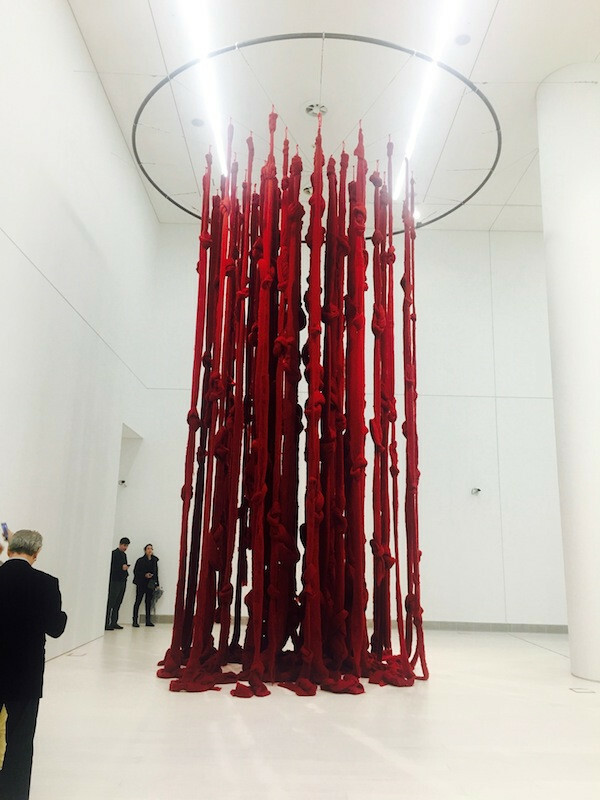 In Athens right now is an eight metre-tall installation of unprocessed wool, cascading down from a gallery ceiling in a shower of blood red. 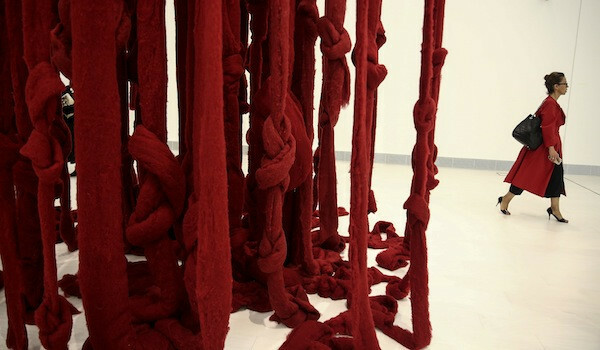 This soft sculpture is the work of Chilean artist Cecilia Vicuña, and forms part of this year’s international art festival, Documenta. Traditionally taking place every four years in Kassel, Germany, this is the first time in history that this art festival is splitting its location, holding its first half in Greece, and its second in Germany. Out of hundreds of participating artists and some 47 exhibiting venues, Cecilia’s woollen sculpture has been gaining much attention in the press as one of this year’s must-see highlights. Celebrated as a contemporary artist who is able to compose poems through space, Cecilia’s site-specific installations have been noted for their visceral lyricism, often drawing on the weight of Indigenous history that anchors much of 20th century Latin American culture – something that the artist is acutely aware of in her genre bending practice. 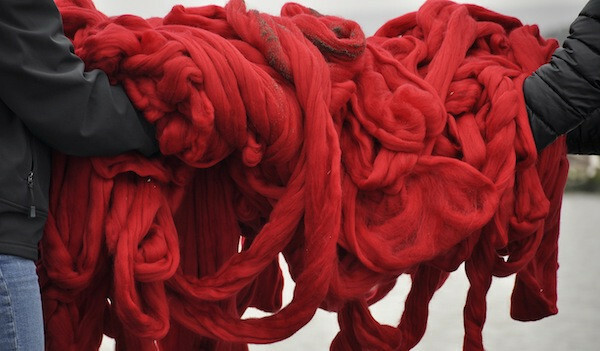 On display until the first half of Documenta finishes on the 16th of July, this installation is a testament to the artistic capabilities of wool, serving as a vessel for Cecilia’s powerful and poetic practice.